Nowadays the messaging application occupy most of the place among the youngster and Scimbo is among them. Scimbo is the application which resembles the whatsapp application concept and it helps to chat with our friends, family members, colleagues and so on without any additional charges. The features of Scimbo are similar to WhatsApp with some additional features; so we call it as Whatsapp clone. The Scimbo application has many features and it is user-friendly and elegant when compared to other messaging applications. Same like WhatsApp app here also you can exchange texts, photos, audios and even videos with your friends who are all having the same application in their phone. The application needs the basic internet connection for sending and receiving of the messages. 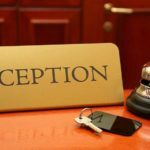 When coming to the cost of the application it is less expensive and readily available for both Android and IOS mobile phones. The main advantages of this Whatsapp Clone script – Scimbo application is it does not take much space in phone memory and it will update with allocated memory. This application is user-friendly and easy to use. It has many features and some of they are file sharing, mute option, secret chat, status option, set a display picture option, broadcast option and so on. This is one of the sophisticated whatsapp script when compared to the other messaging application. Signal chat is one of the secure messaging application which is same like facebook messenger or an iMessage but with more privacy option. This application is available for Android, iOS, and chrome version. It includes the basic messaging tools which containing text, group chat, emoji support, audio, video calls, sharing of audio, video, picture messages and so on. This application is an Open Source application and therefore the signal is free and Open Source, allowing anyone to verify its security by checking the code. 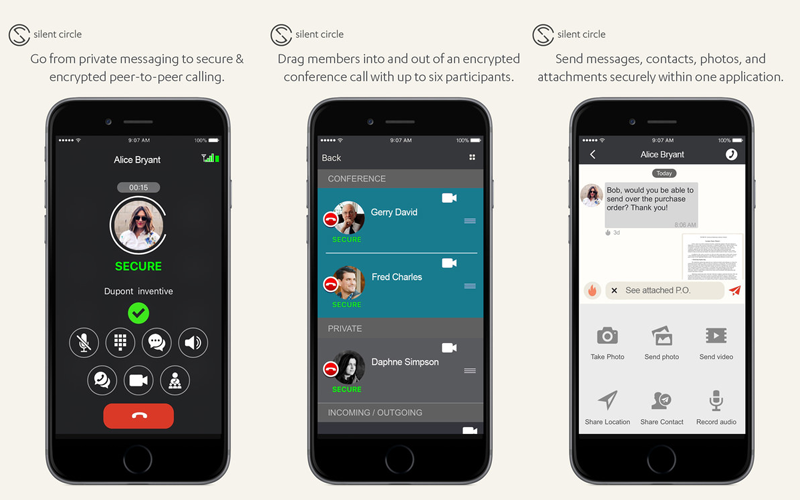 Signal chat is the only personal messenger application that uses the open source peer-reviewed protocols application which to keep your messages safe and secure. It uses an advanced end to end encryption system which gives the privacy for every message at every time. Therefore, the conversations and the contacts between your mobile phone and the browser, and keeps them in the sync manner. Therefore, by using the signal chat you can communicate instantly by avoiding the normal SMS fees, you can create groups so that you can text in real time with your friends and family at once, and share the images, video or an attachment all with complete privacy setting. Telegram is one of the instant messaging applications which are used by more number of people and it is a reliable one. 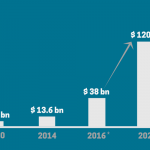 You can send self-destructing pictures and any Medias to anyone in your contacts and therefore it is one of the fastest messaging applications on the marketplace, it connecting the use through a different, distributed network of data centers around the universe. In telegram application you can access your message from all devices at a time i.e. you can start your message on the laptop and you can finish it by mobile phone so it is one of the main advantages without losing data. In telegram app, you can send audio, video, images and files, without any restriction on their type and size of the file. Your whole chat history will need no disk space on your mobile or any device which you are using, and will be safely stored within the Telegram app cloud for as long as you require it. Google Hangouts is one of the applications which are unified communications service which allows the people to introduced and participate in a text message, audio or video chats, either within personal chat or in a group chat. Hangouts messaging application are built into Google plus and G-mail, and mobile Hangouts applications are also available for both iOS and Android devices. Google Hangouts application replaces the former chat capabilities made into Google plus and G-mail, as well as the standalone Google Talk application. Hangouts application can also integrate with the Google Voice which granting the people of that service to make free national phone calls from their own devices. By this Hangouts application you can have the option such as text message, video, and audio call, this application supports emojis, stickers, and pictures too. By this application, you can easily share your current location to anyone in your contact with the help of map integration within the application. Therefore this application manages the mobile application casually with cloud service. 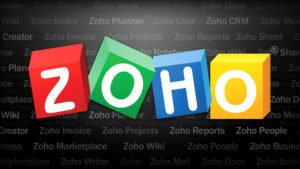 Zoho chat is one of the web-based applications for both instant messaging chat and a group chat. 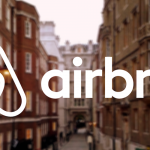 We can use the application by the web browser and an internet connection without the need for any software to be downloaded from the app store or installed in your required device. 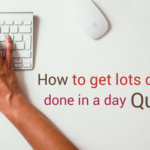 Zoho chat can be used to perform simple online group conversation as well as you can send and receive offline messages too and can easily be used to merge the live chat boxes into your blog or your own website. From your own account, you can also have the option to access the Chat History to keep track of your chat. This application helps you to interact with your colleagues via team channels, organization-large channel and private channel. 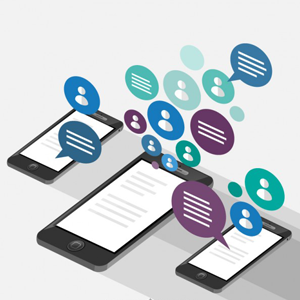 You can customize your notifications set to manage the way which you receive them and therefore it supports the media message, emojis, and this app brings the informality and innovation of the messaging service to workplace communication to assist you in getting the stuff done. 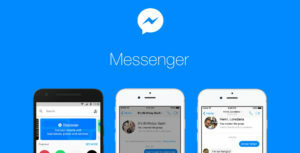 Messenger application is an instant messaging platform which is released by Facebook service. However, unlike most of the text messaging applications, Messenger app can do an entire lot more than just send the texts messages. The messenger app contains lots of feature inside it and they are you can send the text message as well as you can send pictures, audio, video files within it f or both single person and in the group chat. 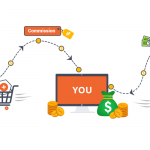 Messenger app also has the functions as an easy way to send the money to the user by using just your debit card information and you can do this from both in the website and as well as in the mobile application. Messenger app is available on the iOS device, Android device, Windows Phone and in other feature phones. The name of a group chat can be customized by the user, as can the nickname of the people in a message page and also you can modify the color. 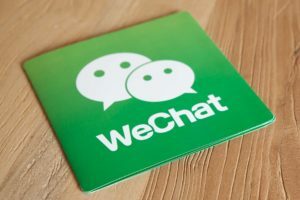 WeChat is one of the messaging and calling application that grants the user easily to connect with their family and friends all over the world. It is said to be all-in-one communications application for text like SMS or the MMS, audio and the video calls, Moments, image sharing, and the games. You can create with up to five hundred members and group call with up to nine members. The popular feature of the WeChat application is Moments. In this feature you can post text-based any kind of updates; you can upload up to 9 pictures as well as share videos and the articles, it is just same like your Facebook Timeline or the News Feed. The app has the Shake feature by using this feature you can literally shake your mobile device and find other people who all are around you and doing the same thing which you did. As the results list, you can then choose a contact that plans you and you can chat with them. These are some of the interesting features in the WeChat application. ChatSecure is one of the messaging application which is available for both Android and iOS devices. This application grants the users to communicate with off the record that is without recording the chat history. When you send any text messages by using the ChatSecure application, they are not stored on the phone memory system. 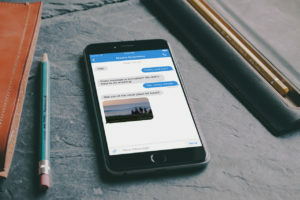 ChatSecure app grants the users to send the instant text messages and chats by using a cell phone, instead of with a classical desktop or the laptop computer. It’s suitable for the both iPhone devices and Android phones. The ChatSecure app only uses the well-known open source cryptographic libraries to keep the chat private. All the text messages sent through the ChatSecure are totally private, so long as the user, you are chatting is secure. This application can handle the multiple accounts, so you can text with your Facebook account friends, Google contacts, or other privacy alert users that use instant messaging services that support the OTR encryption. Viber app is one of the messaging applications which freely connect the people all over the world with each other, assisting them to send good vibes every day and build the great things happen. With more than eight hundred million users on the service, Viber application gives the user all over the world the capability to connect in the path that works best for them, whether that is through private messaging chats or group chats, audio or video calls or following the brands and celebrities on the Public Chats. 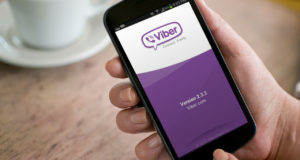 Viber application can be used on the device such as iPhone devices, iPod devices, Apple Watch, Android devices and tablets, Windows Phone 8, Linux devices and so on over the mobile data or Wi-Fi connections. The application also having the features such as games and therefore the users can select from a range of games to be download to their preferred device. Thus the Games can be played on their own or people can play through the Viber application by granting them to play and connect with the friends.